14 days since my last post. I think I've lost the blog modjo. Lols! Hallo! 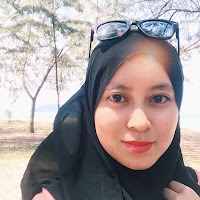 Is there anyone reading this hidup segan mati tak mahu blog? Anyway, I've an annoucement to make! I quit from the previous firm! WoohoO! So, it means I already have one 2016 Resolution crossed from the list. Yay! I'm not type of person/lawyer who switches from one firm to another but prior to my resignation, I had a few strong reasons before I really made up my mind to quit & Alhamdulillah, Allah swt made things easy for me. Nonetheless, working there for the past 7 months (my final day was on 31/03 but still came to the Firm on 03/04) have given me some lessons to learn. Well, some things are better left unsaid. Lols! Enough said. I started working at the new firm on 04/04, the very next day after my last day at the previous firm which was also my Abah's 69th birthday. I planned to have a few days of cuti so that I could give my weary brain & tired body some times to cool down before I start working at the new firm but nope, I started working straight away. No time to hold that 'Jobless' title on my head. I'm still adjusting myself with the new firm, especially on the fields that I'm currently in. From civil litigation, accident & personal injury claims & a bit of criminal cases at the previous firm, my work now is 90% on conveyancing. That also means no more donning in black & white & go to court(s) (almost) everyday for me; 2 things which I miss because haven't you heard that courts are lawyers' runway?